Dortmund-based Martin Juhls has been putting out records under this derivation of own name since 2003 on labels including 12K, City Centre Offices, Autoplate and his own imprint, Oktaf. He also uses the names Falter, Krill.Minima and Wildach Sonnerkraut. 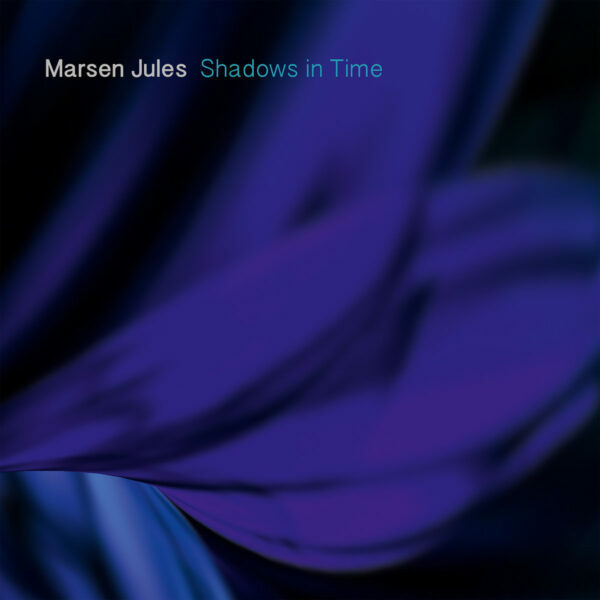 There is also a separate Marsen Jules Trio where Juhls is augmented by brothers Anwar and Jan-Phillip Alam on violin and piano respectively. He terms his solo work under the Marsen Jules heading as “instrumental/ambient”. And his weapons of choice for this single piece Shadows In Time are synthesisers. I suppose you could describe Juhls’ approach as drone/ambient synth-scape, but the development, at least initially, is a tad faster than is traditional in this sort of venture. Nothing wrong with that per se, and soon it relaxes into a sound more reminiscent of church organ. The material repeats, which is one facet that may put off hardened connoisseurs of Drone; the organic, “random” generative development familiar with such purveyors or, at the other end of the drone spectrum: complete stasis, is absent in this particular prime cut of beefy transcendence. It has neither the roiling mid-range bombast of Nadja’s Thaumogenesis nor the single-minded brutality of Puce Mary nor the inexorability of Phill Niblock. But like the apocalyptic trend for pop-star singer-songwriters to overuse their brand new loopstations ten years ago, is it enough to simply set some pre-recorded material loose and watch it go, however subtly and delicately manipulated? Even a two-year-old will eventually tire of a wind-up toy, but on the other hand let’s not forget that Phillip Jeck and William Basinski have made careers out of this sort of thing, in their own unique ways. Juhls is another addition to the oeuvre. Indeed, he is poised to enter the history books when “the world’s longest film”: Anders Weberg’s 720 hour colossus Ambiancé is released in 2020; it’s theatrical trailer features music by Juhls – all 7 hours and 20 minutes of it, (Got a day off? View it here.